still a great source of information. I was listening to the radio this week and was especially pleased to hear an interview about to start with Pastor Jim Cymbala. At one time I was part of the choir of a sister church with the Brooklyn Tabernacle and had the distinct pleasure of attending not only several Sunday services at the Brooklyn Tab, but also of taking part in several choir workshops. Attending a Tuesday prayer night at the Brooklyn Tab is not an evening you are likely to forget. I’m a fan, too, having read all of his books and looking forward to reading the newest one. Can you imagine my shock when the first thing I heard Pastor Cymbala tell the radio host interviewing him that only 6% of Americans are actually Biblical Christians! He went on to clarify that what he meant by that was only 6% of those identifying themselves as Christians in recent polls also specified belief that Jesus is the one and only way to heaven. See I Corinthians 6:9 and Ephesians 5:5, then we’ll talk more about that. Forgiveness isn’t automatic and though it is freely given it isn’t cheap and easy. In first recognizing that we are sinners, that we have committed sin, we must repent in sincere sorrow and ask forgiveness in a heart that does not plan to continue in sin. That doesn’t seem to be a concept anyone understands anymore. The teaching we’ve heard goes along the lines of as long as you show up in church regularly and drop money in the offering plate or bucket or basket, you are okay with God and don’t need to concern yourself with much more than that, unless it’s something really obvious, and even then, the teaching goes, grace will cover so just get on with your life and don’t worry about it. It seems anything goes, as long as you can report a certain number of church attendee’s. We were invited to visit a church down south and attended the praise and worship practice. I was frankly shocked at the harshness of the worship leader toward those volunteering their time to provide music. Perfection was his goal and nothing less down to the minutest detail would be tolerated. Turns out the worship leader was also the Pastor. Made me wonder how he behaved toward the sheep entrusted to his care when they fell short of the perfection he demanded. I discovered the answer the next morning. The music was indeed pitch perfect. It was also cold and lifeless. There was not so much worship as there was a performance, which the audience, ummm, I mean, congregation, dutifully applauded for when it was over. The preaching was also lifeless. No evidence of the Holy Spirit present or invited. As much as was humanly possible all was orchestrated to a cold, calculated perfection that left me craving some time with God the Father to recuperate from the exhaustion of just watching the attempt to master perfection through the flesh. In a recent editorial, J. Lee Grady, the Editor of Charisma, a Christian magazine, made the following observation. I agree wholeheartedly! On the other end of the spectrum, we sat in a service with barely a handful of people and very little polish in evidence. It was clear these were not trained or educated folks. Just people reaching out to the Lord. And they did not quit crying out and singing and praising Him until they broke through and reached the Throne room. The music was off key, it was obvious none of them actually knew how to play any of the instruments, but it was one of the sweetest sounds we’d ever heard. I’m guessing it was to God, too, because He showed up and the service was anointed. The prayers were powerful and the love was evident in abundance. We have moved so far away from the biblical model we find in the book of Acts, where the truth was preached at all costs, including the cost of their very lives. Nowadays, we are so concerned with "our" reputations, we have little to no regard for the reputation of the only one that counts. That of Jesus our Lord and Savior. Most church leadership would and DOES reject this style of church service. They appear content to please the people in return for the mammon they worship, oh sorry, I mean, the money they NEED to keep the church doors open and the retirement funds full. Church has become about everything BUT Jesus and His gospel message and all about programs, formula’s and our own brand of Christian Celebrities (more on these next week) all carefully wrapped around God, clothed in the name of God but having very little to do with Him at all. will keep us well FED! My bottom line here is similar to how I heard Pastor Cymbala end his radio interview. When it comes to the gathering of the saints of God, and please do not misunderstand me, I know that gathering to strengthen and encourage and teach and disciple is of great importance, it should not be about well planned programs and it surely should not be about following the latest fad or church growth formula. The planning stage should begin and end with a sincere and humble heart before God, our Bibles, a quiet time of contemplation and prayer and a fervent request for WISDOM from God the Father in how to “do” this thing we call church. PRAYERS REQUESTS MAY BE MADE BY FILLING OUT THE FORM AT THE TOP LEFT OF THE PAGE. WE PRAY DAILY AND HOST PRAYER SERVICES ON FRIDAY EVENINGS. WE ASK THAT YOU KEEP TURN THE TIDE MINISTRIES IN YOUR PRAYERS, AND MAY THE GOD OF PEACE BLESS US ALL WITH WISDOM AND UNDERSTANDING IN THE HOLY SPIRIT. Once upon a time, Paul the Apostle was Saul. 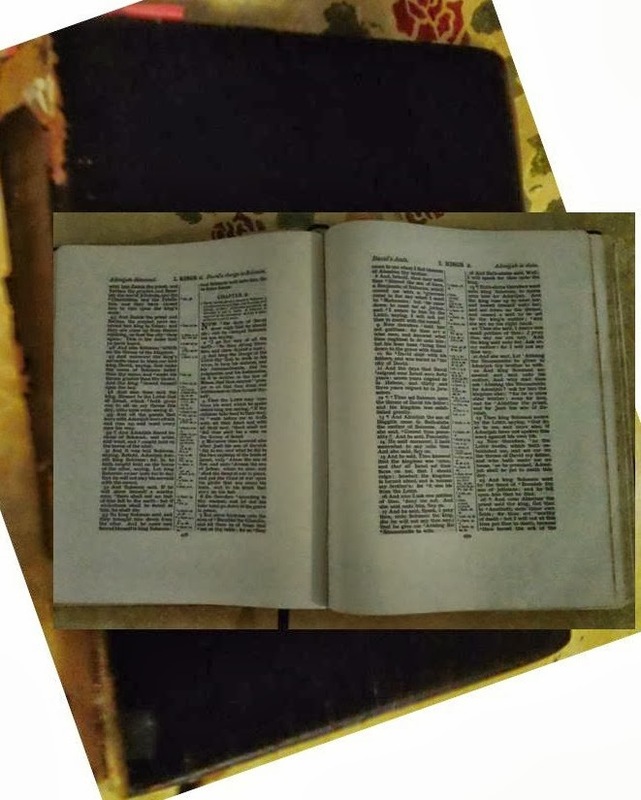 Saul was a devout Jew, who was born into the religious elite, grew up scholarly under the much hailed Gamaliel and was zealous, scripture tells us, for the religious laws of God as they had been taught and exampled to him. Personally, I really like that last one. Fierce - ferocious aggressiveness. That really describes who and what Saul was as he pursued what he thought he knew about the things of God. Then he went up against Jesus. Can you even IMAGINE trying to go up against GOD? Job 9:4 God is wise in heart and mighty in strength. Who has hardened himself against Him and prospered? SHORT ANSWER: NO ONE ! My own heart trusts and believes, so I cannot even conceive of one going against the Lord. Then I thought of Lucifer, originally the angel of light. He went against God and was cast out of heaven. Now he is known as satan, the enemy of God, with a very bleak future, a very fiery eternity to look forward to. The answer? Me. You. All of us. We all go against God each time we sin. Sin is described as breaking Gods laws, or violating Gods will or missing the mark of the target He set for us, going outside the boundary or limits He gave us. As Originator and Creator of all things He inherently has the right to set the standard. So failing to meet that standard is sin. And we surely do not prosper when that happens, do we? We do not reap joy or peace or righteousness. Romans 14:17 (another of our daily readings this past week) tells us for the kingdom of God is not eating and drinking but righteousness and peace and joy in the Holy Spirit. I began to think about how easily we fall prey to the temptations of sin. How easily we excuse our hearts when they covet, when they lust. How quickly we excuse ourselves when we give in to sin. Romans 8:13 For if you live after the flesh you will die. But if you through the spirit mortify the deeds of the body you shall live. Colossians 3:5 Therefore mortify (put to death) your members which are upon the earth fornication, uncleanness, passion, evil desire, and covetousness which is idolatry. The word mortify has several meanings. To cause shame, humiliation or wounded pride. To subdue, suppress, control. It’s even been defined as to destroy, to blow up or blow apart. King James translated it put to death. God created us, so we are subject to Him. He gave us free will, so we can obey Him and reap all the wonderful benefits that come with that obedience. Or we can disobey, do as we please and reap the consequences. Even if we WANT to obey Him, this flesh trips us up and we sin anyway. (Consider Paul's plea to the Lord "who shall deliver me from the body of this death? Romans 7:24) So God sent Jesus to pay the price of sin for us which we could NOT EVER have paid, and freed us from that burden giving us eternal life through Christ. Yet we still have sin chasing us down and overcoming us, so how do we deal with it? I’m all for FEROCIOUS AGGRESSIVENESS - both in receiving His forgiveness and in yielding to the Holy Spirit to controlling the flesh! Who’s with me? Living a life that honors God is not easy, but it is also not impossible. Like Paul, we MUST forget the past which haunts us and press hard on to the future God has for us. We cannot change what we've done, the sin we've committed, but having received Gods forgiveness we can submit to the work of the Holy Spirit and turn away from sin now and in the future. If you have NOT ever asked God to forgive you of your sin and wash you clean as He has promised, RIGHT NOW is a perfect time to do so! Repent - turn away - from sin and ask God to cleanse you through the Blood of Jesus shed on a cross for YOU so long ago. Believe that He has forgiven you and ask Him to live in your heart and guide you through this maze of life. Prayer is our powerful weapon against all evil. Lord, I thank You that any and all who repent of sin, ask Your forgiveness and request the Holy Spirit to live in their hearts will RECEIVE what they ask and be transformed by Your spirit as they change their thinking and behavior to obey You. I ask this in the Name of Jesus, Amen. To be lost, to realize you are in a strange, unknown place without knowledge of where you are or how to get back to a familiar place is an alarming experience. I know this for a certainty because my inner compass lacks a needle, leaving me directionally dysfunctional and vulnerable to getting lost on a fairly regular basis. No matter that it happens often, each time leaves me upset. One missed turn when I am in a place I am not familiar with easily leads me astray and if I cannot return to familiar territory immediately can quickly escalate to all out panic. I have experienced times when I am so turned around and hopelessly confused the sense of failure and frustration has left me in tears of fright and helplessness. Such strong overwhelming emotions- evoked simply because I am lost following a road, where I can easily stop, ask directions and get back on track to where I want to go. know which direction you SHOULD be heading! Those who have the innate sense of direction I lack won’t understand the scariness of what I feel, nor will they empathize with frightening helpless feelings of not knowing which direction to turn, because they have not experienced it themselves and cannot relate sufficiently to have true compassion for my plight. How much worse could it be? What if you were eternally, hopelessly lost and you didn't even know it? Wouldn't that be even worse? Because if you don’t even know you are lost, you have even less hope, if such a thing is possible, then one who knows they are lost and are seeking the right way, seeking to get the most from opportunity, seeking victory, seeking to preserve, to sustain, to LIVE! Jesus told us if we seek, we shall find, but if you don’t know you are lost what are the chances you’ll ever find truth? Slim to none, my friend if it weren't for the great unbounded grace of a loving God! 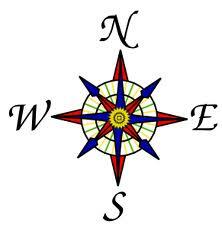 But thanks be to God (ICorinthians 15:57) who never leaves us wandering on our own, but offers us the missing needle for our compass that will point us in the righteous direction each and every time without fail. The Holy Spirit is our guide, our needle in the compass, that brings us to truth every time we wander from it. Our map is the theo-pneustos, the God breathed word we find in the Bible. The Holy Spirit is our compass. And our destination? Reading the word of God everyday will keep you firmly on the path, grounded in the truth of God. Then you will be able to direct others who are lost. To lead them to the truth which will guide their way, not just now, but eternally. There is more, so very much more! Once God is directing the needle in your compass,(as you daily read His word) you will have the Joy of helping others move from LOST to FOUND! Start with the first steps and the Holy Spirit will guide you into places you never thought you'd go. Do you have questions about what you read in the Bible? Use the prayer request at the top left of the website and send us your questions. Or better - ask them in the comment section, which is monitored daily. We welcome the opportunity to dialog about the truth of Gods word and how it works effectively in the lives of believers! God bless you this week! We post a weekly reading schedule which when followed, results in reading through the entire Bible once every two years. Join us today and begin the adventure of a lifetime! Do you feel lost or distant from the Lord? You are not alone! God, who created you, loves you and has a plan for your life! Through Jesus, His Son, you have access to Gods ear and heart - he hears you when you cry out to Him! Tell Him all that's in your heart, ask for His forgiveness for your sins, and receive the cleansing and forgiveness He desires you to have! All who call upon the name of the Lord WILL BE SAVED! Contact us, using the Prayer Request form, and we will gladly talk with you, answer questions, and pray with you. Have you ever noticed that in one situation you encounter, FAITH just seems to rise up from your heart and you suffer barely a moment of concern? Then another situation appears, and FAITH seems to have deserted you entirely? Why does this happen? How do we overcome the barriers to unleashing our faith? Walk with me through a little exercise that may not only help us understand this but may even lead us to the answer of how to overcome these seeming barriers to unleashing faith in every situation we encounter! The original bathroom - YECH!! Amazingly enough, we have completely forgotten what the room used to look like because we no longer see it the old way on a regular basis. We see this new room, so when we imagine our bathroom, the new room is what we see in our minds eye. FAITH works like that. If you have been praying, reading your bible, spending time with likeminded believers and receiving constant reminders of Gods love, Gods grace and all the reasons you have faith in the Lord to begin with, when you are confronted with a situation, faith rises up in what seems almost a natural manner, since it has been constantly in the forefront of your thinking. The old way of fear is replaced by the new way of faith. So why is it that the next situation we encounter, faith seems but a distant memory? The question to ask ourselves at that point is, what have we been keeping constantly in our hearts? What thoughts are we harboring? Is there unforgiveness or bitterness we've allowed to overshadow the trust in God we held? Are we reading His word as a constant reminder of WHO He is and how much He loves and cares for us? Usually when faith seems distant, we find that it isn't faith, but we who have grown distant. Distant from the daily bread we truly cannot survive without. This happens because everyday we go about our lives, listening to music or news casts or watching TV programs or being bombarded at work and other places with a constant stream of negatives and worldly viewpoints that begin to replace the picture we hold in our hearts of our place in the world, our place as a beloved child of God Almighty. The truth actually begins to dim in our hearts, without the constant reminder of it through daily reading of Gods word, daily prayer and time with our God, and fellowship with others who believe and trust in the Lord. This is why we read (eat) our Bible (bread of life) on a daily basis. This is why we encourage others and list reading schedules and give away bibles and constantly go on about putting Gods Word into our heads and our hearts. Without it, we FORGET. When we forget, our faith falters. We are less certain that God, who met our need last time, will indeed meet it this time. If you've been following us, you know that for the last 2 years, we've been harping on DAILY READING OF GODS WORD. Now you know why. Reading the bible reminds us of who we are - Ambassadors for Christ. Otherwise, we forget. We get caught up by the ways of the world, and then we struggle with things God didn't intend us to struggle with, like faith and trust in Him. He never changes. But we do. In order to stay on a path of righteousness, we need daily reminder of what the path looks like, and where it is taking us. So we encourage you to read, daily. Our reading schedule is designed to follow our eating pattern, since Gods word is our daily bread. A chapter in the morning, one in the afternoon, and one in the evening. A well fed spirit will not find itself short on faith. I can promise you that. More importantly, God promises! Psalms 34:8 Oh taste and see that the Lord is good! Blessed is the man who trusts in Him! As you journey down this road of faith, we would be blessed if you shared your travel adventures with us! How has reading Gods word changed your life? What ways has reading strengthened you and helped you through difficult times? Click on comments below, and encourage others with your testimony! We're praying for you! Prayer requests are at the top left. Prayer changes things - let us pray for your specific needs! Any Christian parent who has experienced the loss of a son or daughter, not to the finality of death, but to the lost ways of the world whether it be lifestyle choices, drugs or a general rejection of the Lord God that builds a chasm that seems uncross-able relates intimately to the Prodigal Son story in the Bible. You are not alone. You are not the only one. Sculpted by tiny hands and precious to the heart! We have such a child. 11 long years have passed. 11 years of tears and arguments and pain and a ripping open of the wound over and over and over again. 11 years of crying out to the Lord - in passionate plea and heart broken despair and screaming hope. Last night my baby boy called. To tell us he is doing well. He has been completely drug free for 40 days. He has gained 35 pounds. To tell us that he loves us. And we got to tell him how much we love him. My prayers don't stop. Neither should yours. The journey has been long and it has been hard. The world cannot keep our children unless we give up. Never give up. Never give in. Our God is faithful and trustworthy and delivers His children from the darkest of nights, the deepest of pits and from the most hopeless of situations. He bursts forth in shining light according to His perfect timing. Which we may seldom understand but can always trust in. When you put your trust in the Creator of Heaven and earth, your trust is in His ETERNAL promises, not just those on this earth at this time. Therefore, our Hope in Him is never misplaced. If we don't see the answer here and now, we will see it There and Then. Psalm 147 from this very mornings reading brings hope and peace to our hearts, now and for Eternity. Have you ever prayed a prayer….and then forgotten it? Until sometime later, when you suddenly realize that God has given you what you prayed for? When there is a crisis or something of grave importance, we have a tendency to pray and pray ceaselessly entreating the Lord at the throne of grace until we see an answer. But I have found that the prayers that are not crisis driven, the simple prayers, the whispers of our hearts truest desires, delivered to the Lord in simple faith and then let go of, those prayers are still heard, and often answered in the most miraculous ways, yet we seldom shout about them from the roof tops. The everyday prayer. The ordinary prayer. The whispered prayer. The quiet prayer. Jabez prayed like that. Many only know about it because his quiet request was made much of in recent years by someone who took his quiet prayer and made it very public, and then it was turned it into a mantra to be repeated like a magic talisman from a Harry Potter story. As if, if we repeated someone else’s words of prayer often enough it could, it would - somehow compel the Lord, Creator of Heaven and earth to answer our way in our time. As if He Himself had no power to resist it and must give what we requested. I think we had it very wrong. I know we had it very wrong! The very idea that God MUST do anything according to our will, for the Lord our God is sovereign and follows His own will, not the will we attempt to impose upon Him. His will alone is perfect, unselfish and stands the test of all Eternity. And there is no magic prayer formula, not even what we call the Lords Prayer. Jesus prayed that prayer as an example of how we are to pray, yet He also declared we are not to repeat endlessly, senseless, babbling, repetitious words, but are to pray from our hearts. I prayed a prayer like that, like Jabez’ prayer, a quiet prayer. A prayer that lived at the very edge of my memory and was almost forgotten by me, so quiet it was. A whispered prayer that went straight from my heart to the heart of the Lord my God, who never forgot it, but kept it, nurtured it until His time had come to fulfill it in my life. I could wish it were answered sooner, but because He brought it all to pass according to His perfect will and timing, I am deeply, thankfully, joyfully content because the timing has been and is absolutely perfect. And I give thanks, praise and glory to my Lord for His answers to quiet, almost forgotten prayers. We know that the fervent prayers of a righteous man avail much. They, too are full of the power of words offered up as sacrifice, as plea, as genuine and authentic request, not demand, to a loving, caring, omnipotent God who hears and answers His people in the way that is so perfect we could never even begin to conceive of its perfection when it is answered in His timing according to His will. I have said it many times before and will repeat it for those who may not know. 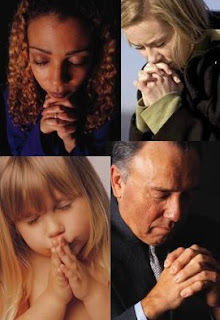 Prayer is the most powerful tool in the spiritual arsenal of a believer, fighting the good fight of faith. Your prayer requests will be honored by this ministry. Fill out the request form found in the upper left hand corner. We would be so honored if you choose to share with us the answers God brings to your humble, simple, quiet prayers of faith. God bless you and keep you, in Jesus name!